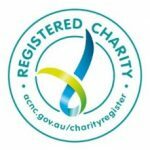 Wollongong Emergency Family Housing (WEFH) supports families and individuals who are homeless or at risk of homelessness to either keep their existing accommodation or attain and keep new tenancies through a combination of early intervention, case management, referral, advocacy and information. Additionally we provide support and transitional accommodation (depending on vacancies) to individuals and families in crisis, and assists them to achieve a level of independence that enables them to re-engage with their local community and live independently. We deliver a range of services through our 4 program areas to assist those who are homeless or at in immanent risk of losing their tenancies. We provide information, referral services and will work with individuals/ families and tenants to resolve issues with their landlords directly where possible. WEFH continues to use a collaborative, client focused approach to case management and support. Clients often have complex and diverse needs and the service ensures that the process remains flexible in order to meet the individual requirements of each family or individual. WEFH identifies the importance of client ‘self-determination’ and encourages clients to identify their own needs and make informed decisions about services that can best assist them in achieving their goals. Wollongong Emergency Family Housing supports and accommodates families and individuals who are homeless or are experiencing a crisis which threatens their current accommodation. Click on a title for more information. Wollongong Emergency Family Housing continues to be an organisation with child focused service delivery practices. We view accompanying children as 'clients in their own right' and consequently, their needs are assessed and identified within the context of the family support plan. Identifying their support needs is predominantly done through the primary caregivers. However, their age and stage of development is a consideration and where they are able to communicate their own needs, they are encouraged to participate in the process. Wollongong Emergency Family Housing supports adults in a state of homelessness or at risk of homelessness through a range of early intervention services. Through the Wollongong Homeless Hub we offer access to services such as telephones, faxes, photocopiers and the internet to search for tenancy and access government services. Where appropriate we can refer people to other services. In addition we offer one on one consultation and case management to adults and youth at risk. Wollongong Emergency Family Housing supports and accommodates families who are homeless or are experiencing a crisis which threatens their current accommodation. The majority of families requiring assistance are single parents (male and female) and their children. We continue to take into consideration the needs of single adult male parents and their children when allocating properties. Wollongong Emergency Family Housing is the only organisation currently offering accommodation to this client group in the Illawarra. We also house non custodial single parents both male and female having regular access visits. Despite housing greater numbers of families and individuals, we will never be able to house all families requesting assistance from Wollongong Emergency Family Housing. We have endeavoured to assist these families by providing support in the form of information, referral and outreach through the Wollongong Emergency Family Housing and Wollongong Homeless Hub. Wollongong Emergency Family Housing also continues to support victims of violence through our partnership with Wollongong Police DV PASS this program enables us to call victims of abuse and offer advice, and support. To bridge the gap from homelessness to home. To alleviate distress and empower vulnerable people from all backgrounds who are homeless or at risk of homelessness and support them transition from homelessness to home. To be a voice for a diverse homeless community, that includes individuals, families and young people, experiencing homelessness or at imminent risk of homelessness. To assist individuals and families make the transition from homelessness to home. In line with the aims of Service Support Funding (SSF), Wollongong Homeless Hub provides a homeless Hub whose aim is to support families and individuals in crisis. Assisting them to achieve a level of independence that enables them to re-engage with their local community and live independently. The Service achieves these aims by using an integrated collaborative service delivery model that identifies and responds appropriately to the needs of families and individuals, beyond that of providing shelter. We recognise and value differences based on race, culture, language, gender, age, sexual orientation, ability, religion /spirituality. We support every individual’s equal rights to optimum level of health, dignity and respect. Below are links to our Annual Report.